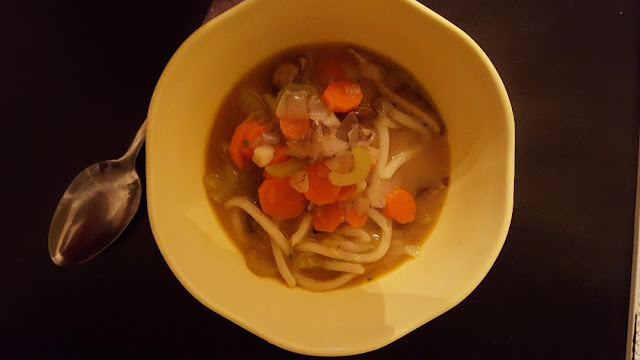 I had the chance to participate in a blogging event teamed up with JSL Foods to create a soup recipe. I was sent 3 packages of their delicious udon noodles. 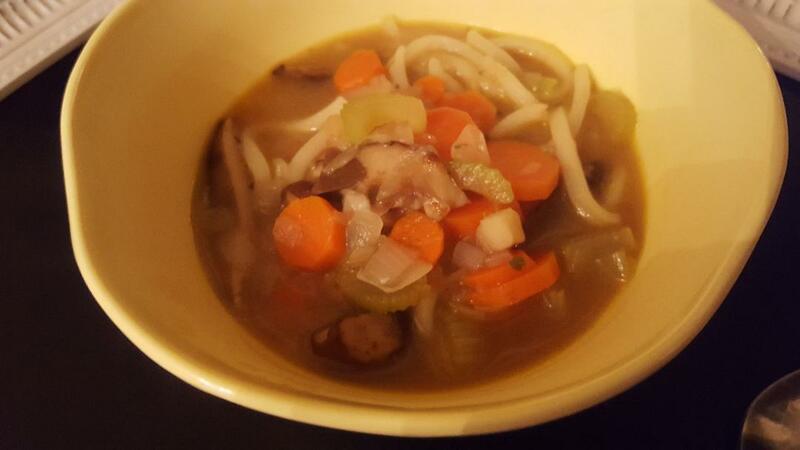 I chose to make a quick, easy veggie soup that went perfectly with the mushroom noodles. We have had a few colds blow through our house over this winter season, and a healthy, delicious, light vegetable soup really hit the spot. I love the simplicity of this soup, you can really taste the vegetables, and the noodles are absolutely perfect in soup. 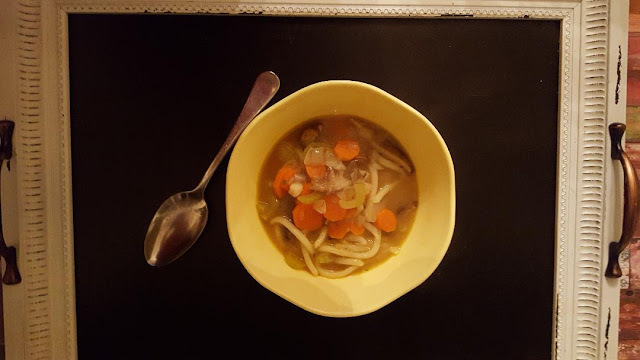 My sister snagged the other two packages to use in her own soup recipes shortly after I created this one. 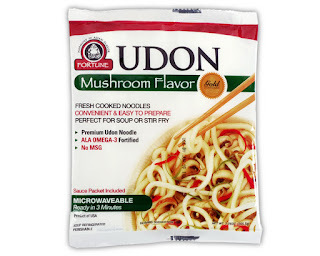 The noodles hold up really well in a broth and have a lovely texture and flavor. You can find and purchase JSL Foods at your local Target! In a large soup pot, melt the butter over medium-high heat. Add in the onion, carrots, and celery. Cook, stirring frequently for about 8 minutes until veggies are softening. Add in the mushrooms and continue cooking another 4-5 minutes. Add in the broth and bring to a boil, reduce heat to simmer about 5 minutes. Add in the noodles and seasoning packet. Simmer about 3-4 minutes, until noodles are tender. Taste and adjust seasonings as needed. Serve immediately. Restaurant Equipment Parts and Also Food Varieties. I am a foodie and i just want to follow your blog for more updates.Thanks for Posting.